Want to play a game of strategy and a little bit of luck? 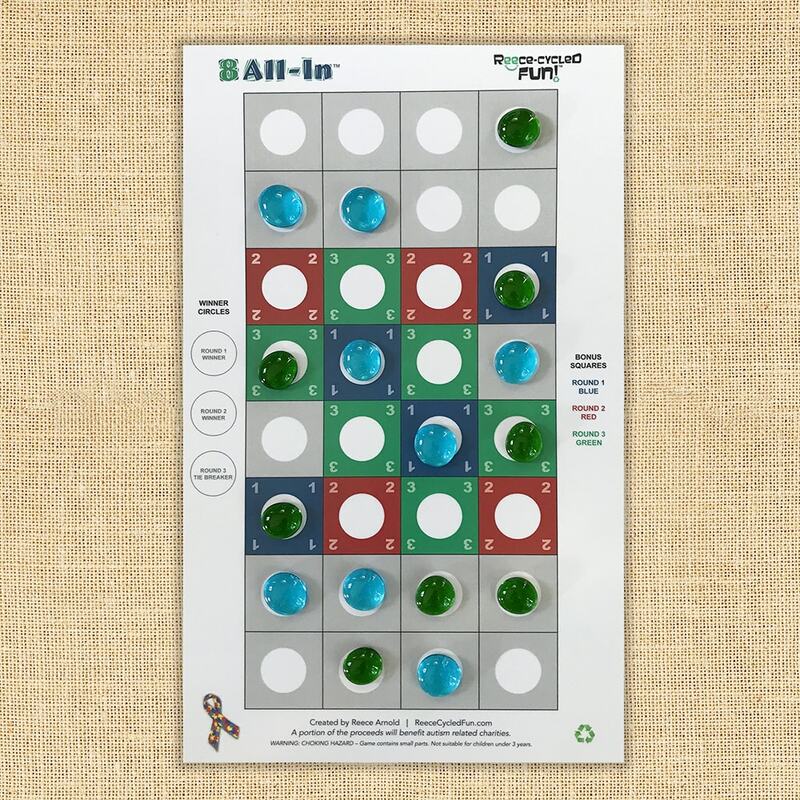 8 All-In is a fast-moving board game played with eight colorful gems each and one die. The goal is to get all of your gems to the other side before your competitor does. Don’t forget to use the bonus squares! To win this game, you must win two out of three rounds. It’s like a revved up version of Chinese Checkers! Feeling Lucky? Number Kruncher is a game that is won by the luck of the dice and strategically challenging your competitor’s (and your own) dice totals. Players fill up the game grid with their initials and dice totals until the game grid is filled. You win by achieving the highest score overall. Also, great for using your math skills! Both games are included with each purchase! 8 All-In is laminated for durability and long use. 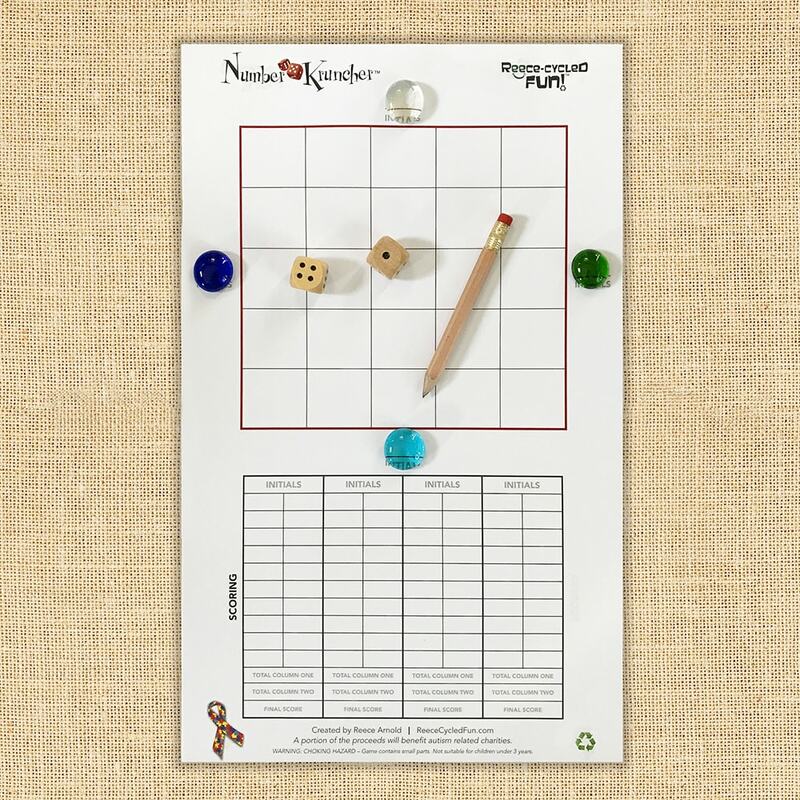 Number Kruncher comes as a double-sided padded game with fifty sheets. Both games measure 8.5 by 14 inches. 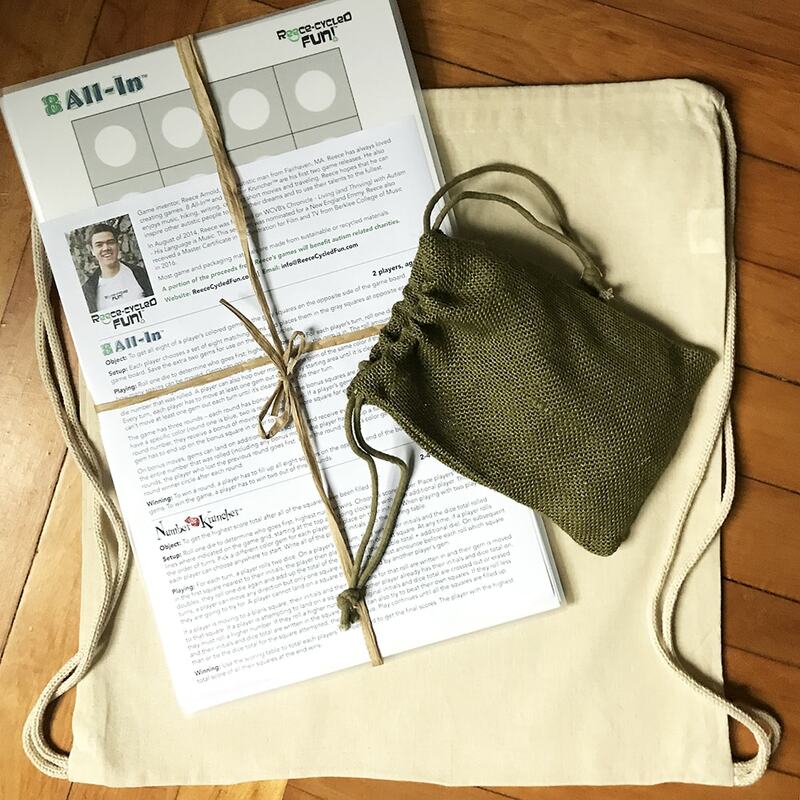 All contents are packed into a drawstring cotton bag. 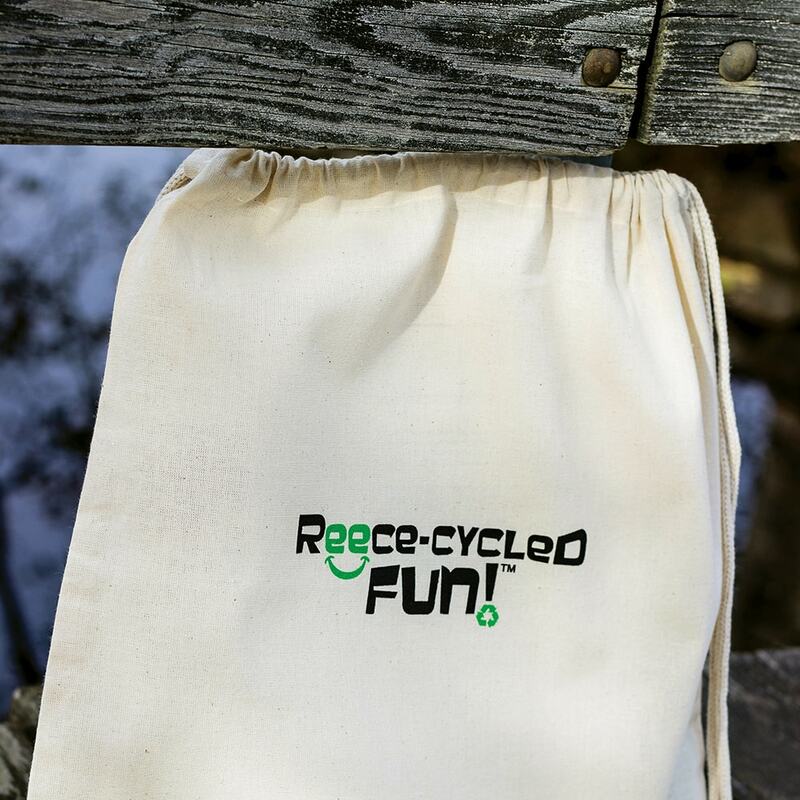 Player gems and accessories are packed into a burlap jute string pouch. 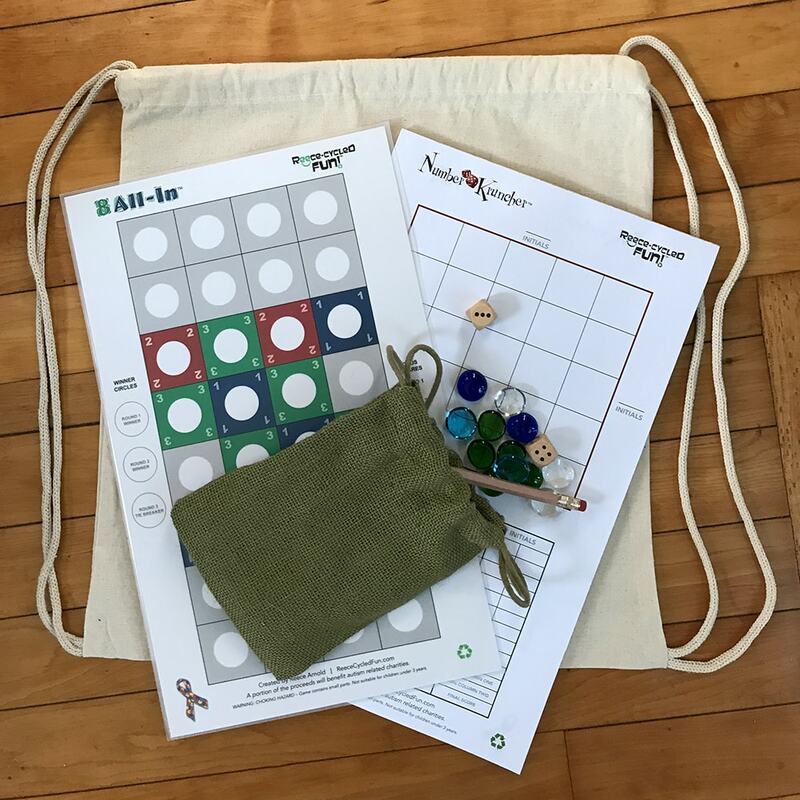 Contents include: two games, bio/rules sheet, two wooden dice, forty glass gems (ten of four different colors) and a wooden pencil. A portion of the proceeds from Reece’s games will benefit autism related charities.